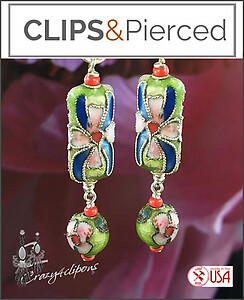 Features: Cloisonne beads are so much fun, so vivid and beautiful. 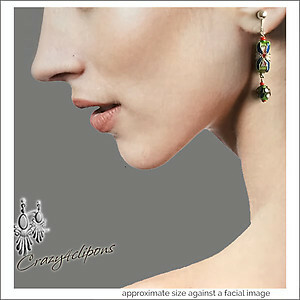 These pair of earrings features two shaped of beads, a rectangular and a round bead, each complimented with tiny seeds to bring out the colors. They are a pretty design for casual wear.